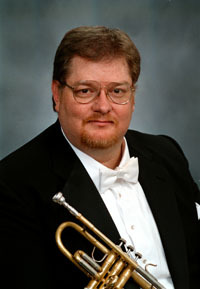 A nine-member committee organized to judge whether there is adequate cause to fire David Champouillon, the director of jazz studies and a tenured professor at ETSU, recommended ETSU President Brian Noland terminate Champouillon’s employment, according to a letter received from the university through an open records request. ETSU spokesperson Joe Smith said in an email on March 7 that Noland has received the letter and will review all relevant material before making a final decision in a timely manner. ETSU is attempting to terminate Champouillon following allegations that he sexually harassed two faculty members in his department, according to documents obtained through an open records request. He has been suspended from the university with pay. The committee concluded Champouillon had engaged in “inappropriate, offensive and harassing behavior directed at his colleagues and students,” according to the letter. The committee also found Champouillon had used jazz band scholarships and his position in the department to intimidate and control students. The letter also stated that Champouillon had been made aware of issues regarding his behavior through five notifications that had been sent to him dating back to 2010. According to a letter the university sent to Champouillon in November, at least twenty people — six faculty members and 14 students — provided testimony to the university that he had violated the university’s standards of professional conduct. Among the allegations was a 12-page complaint submitted by a faculty member in the department of music. The complaint alleges instances of sexual harassment she experienced from Champouillon since 2012. The complainant states that Champouillon made comments about her body, other women’s bodies in the department and female students’ bodies. She also said Champouillon continuously discussed with her his intimate affairs with other women.